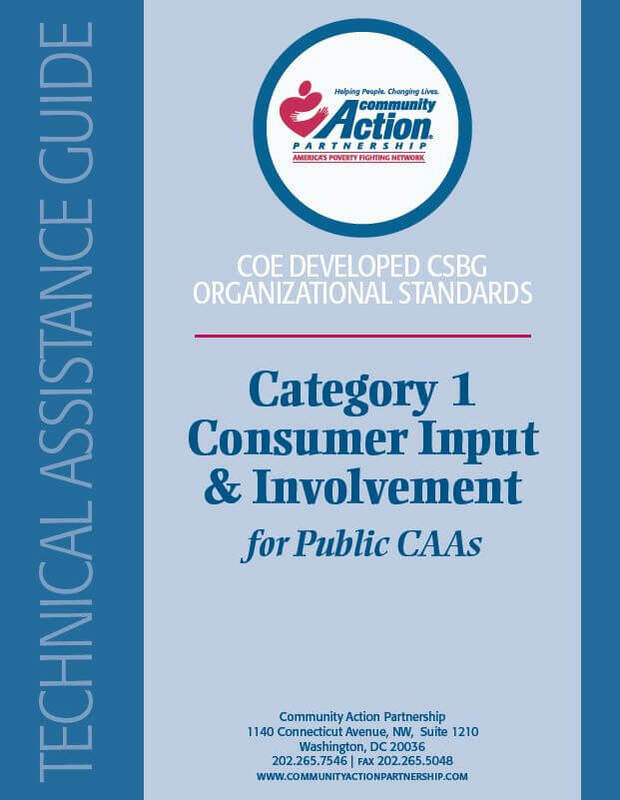 This is the technical assistance guide for Public CAA’s on Category 1 of the CSBG Organizational Standards, focusing on Consumer Input & Involvement Each of the nine categories has a separate guide for both public and private agencies. These guides provide public agencies with the information they need to be both compliant and high performing in accordance to each standard. These toolkits expand on the guidance and possible documentation developed in the self-assessment tools by offering resources associated with each Standard, and offering a process for agencies to use the CSBG Organizational Standards as tool for Organizational Development .